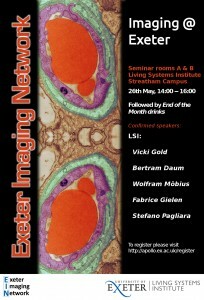 All are welcome to attend the next Exeter Imaging Network symposium, welcoming new Living Systems Institute members and providing a venue to learn about each other’s interesting imaging problems and techniques. 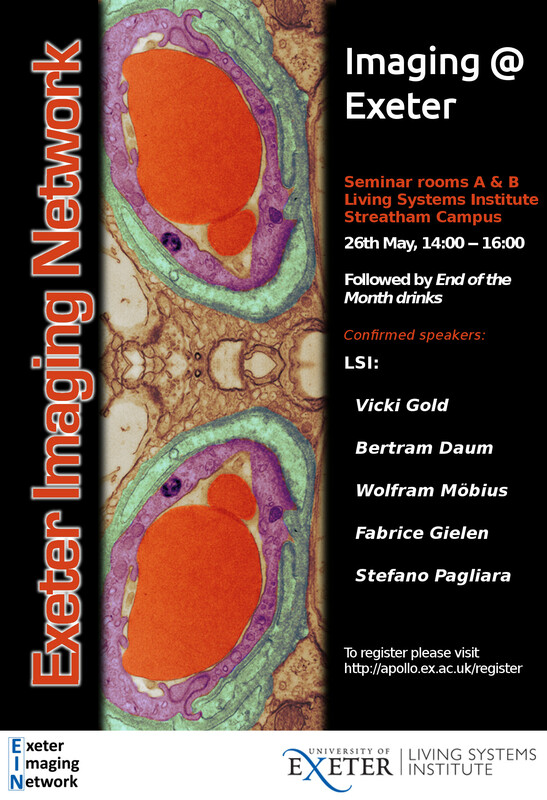 Confirmed speakers include Vicki Gold, Bertram Daum, Fabrice Gielen, Wolfram Möbius, and Stefano Pagilara, and the afternoon will also feature one-minute image presentations by PhD and Post-Doctoral researchers, as well as a networking and poster session in collaboration with the end of the month drinks team. Exact sequence of events TBC.